LITTLE BUFORD welcomes you to “The SITE for SORE EYES”! The NEW EARTH BAND welcomes you to our warm and fuzzy cyber-home! Check out “On the Docket” for 1) Future playing dates, 2) Announcements, 3) Thank-you’s and Acknowledgments. On many of those up-coming playdates, you can join us in person for some loose and easy, certified organic, raw-boned “Retro-Rural” Gospel Music - with just a bit of a saw-tooth edge - and a message that’s delivered to your heart in high-definition! We’re so ”down-home” that our zip code is “E-I-E-I-O” ! The NEW EARTH BAND on “Praise Radio”! On the Praise Radio home page, select from the menu at the upper-left “Playlist & Requests”, and slide the cursor over to the “T”, under “Search by Artist”, for The NEW EARTH BAND, then scroll down to our listings, and please request one or two of our Good News Gospel music messages for Brothers and Sisters around the world to hear! - and yes, thank you!! WANNA PURCHASE CD’s or HEAR A COUPLE OF TRACKS ? GOD WHISPERS IN YOUR SOUL AND SPEAKS TO YOUR MIND. SOMETIMES WHEN WE DON’T TAKE THE TIME TO LISTEN, HE HAS TO TOSS A BRICK OUR WAY. IT’S OUR CHOICE: LISTEN TO HIS WHISPER … OR RESPOND TO THE BRICK! To your right, at the top of the page, you’ll find links to “Pages” that bear an abundance of info about The NEW EARTH BAND members (“About the Band”) and are jam-packed with details on our currently-available “Retro-Rural”, hopping-good-Country Gospel music CD’s (“The New Earth Band’s CD’s”). You’ll want to check out Dave Reinwald’s Rocky Mountain Band page, and the fund-raising and benefit work which this band does. Lee has been the original bassist right from the git-go, since The Rocky Mountain Band’s inception in early 2005. And over the years, NEW EARTH BAND members Mark Miller (Dobro and guitar) and Rick Guinan (harmonica) also have performed at various fund-raising events with The Rocky Mountain Band. We have uploaded quite a few of the very best audio tracks from live benefit performances, which eagerly await the click of your mouse. Give ‘em a listen – this is legitimately good stuff! Plus, in that “Pages” menu there are links to the texts of several very powerful, foundational messages that have been delivered from local pulpits, as well as on the air, such as “Israel, The Overcomer”, “Knowing God”. These include links to videos of the presentations, at the top of each text page. Additional links to those same videos also appear in the “Links” menu, to the right. Now, if you’re simply looking for a snicker, a chuckle, a guffaw, or a rolling belly-laugh … you might want to check out “The Time Machine”, which is perpetually under construction - but promises to prove worth the pain! You know, that “Links” section, over there to the right, is absolutely loaded with connections to websites that are guaranteed to scratch you right where you itch – such as our friend and world-famous chocolate-chip cookie guru, Wally “Famous” Amos’ wonderful “Read It Loud! Foundation” . Please, check that out – and start reading fun stuff with real substance to your kids again! Sooo. if you’ve got a pulse, without question there’ something great over there in that “Links” column that’s just for you! BUT YOU CAN SPEND IT ONLY ONCE !! Gospel Music Association members, The NEW EARTH BAND’S initial, self-titled “The New Earth Band” CD, as well as our more recent projects, “Gospel Truth” , “The Last Kamikaze” , and “A Long Time Coming” are certified blues busters and gloom-chasers. You’ll find them at >> www.cdbaby.com, the CD Baby Tune Store when you enter “The New Earth Band” in the “SEARCH” box at the top of the page. It’s so easy … a cave man can do it ! To zip directly to a specific CD, this link will take you right to our first, one self-titled “The New Earth Band” >>http://cdbaby.com/cd/newearthband, ; and this link will bring you to our second full-band album, “Gospel Truth” >> http://cdbaby.com/cd/newearthband2. Now this little nipper will take you directly to Little Buford’s solo CD, “The Last Kamikaze” >> http://cdbaby.com/cd/newearthband3 while this one transports you directly to our most recent release >> http://cdbaby.com/cd/thenewearthband , “A Long Time Coming”. OR - You may simply click on one - OR ALL ! - of those humongous CD BABY buttons below to listen FREE to sound clips, or to download tracks, or to purchase our CD’s – please do, as the proceeds from the sale of our CD’s help to support our active and fruitful ministry. And we’ll be delighted to ship to you anywhere on this planet! Our fleet of the swiftest-footed donkeys runs on unleaded hay, and is standing by in the shipping department, ready to move out! Our initial CD project is simply self-titled “The New Earth Band”, and features 12 rough and raw, tracks of blue-collar, gritty-dirt-road, rural Gospel music, with that sawtooth edge! You may punch the humongous icon directly below, or click here >>> http://cdbaby.com/cd/newearthband to listen to audio clips, download tracks, or to purchase the CD. Four out of five doctors recommend you do one of the above, for spiritual stability! The NEW EARTH BAND’s second, full-band CD project, is a 13-track beauty, titled “Gospel Truth”, which you’ll find at CD Baby - thanks to DiscMakers (www.discmakers.com), our manufacturing partners. “Gospel Truth” features long-time associate and fiddler-extraordinaire, the late, beloved Warren “Cadillac Mose” Boyer, on seven outstandlngly “earthy” tracks. When you get yours (and please, please do that!) we want you to listen particularly for the second track, “The Jubilee“, aptly dubbed “a heavenly hoe-down”, featuring a full, rich, driving sound with an abundance of instrumental lead-work. “The Jubilee“ is one joyous celebration that will get you excited about living eternally in God’s Kingdom-to-come! You’ll also want to check out Mose’s gritty fiddle work on “Rock of Ages” , and the happy hippity-hop that he puts into “Tell Me the Story of Jesus”. 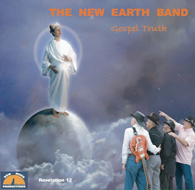 You can click on the big, fat CD Baby icon, below, or click this link, here >>> http://cdbaby.com/cd/newearthband2 , to access our CD “Gospel Truth”. “Gospel Truth” has enjoyed a respectable amount of airplay, as has our first CD, “The New Earth Band”, primarily by Classic Country WWSM 1510AM, in the Central Pennsylvania area, giving a ride to “No, Not One” and “Gospel Truth”, as well as “The Door” and “Jesus Never Sang the Blues”, which are from our first album. “Gospel Truth” and “No, Not One” were also on the regular daily playlist of the Christian Internet station WhiteDove Gospel Radio, for months running. Then, there’s the solo project from The NEW EARTH BAND’s “Little Buford” titled “The Last Kamikaze”, and containing 15 tracks - and that’s a lot of music, Amigos! There are 12 originals and 3 traditional, old-time Gospel tunes on this new release that became available April 1, 2011. It’s a slightly different, refreshing sound, as most songs on “The Last Kamikaze” feature as many as three and four guitar tracks. You may click on this CD Baby icon, below, or just click the following link >>> http://cdbaby.com/cd/newearthband3 , to access “The Last Kamikaze” , listen to audio clips, download tracks, or to buy the whole enchilada! THE GOSPEL IS NEITHER A DEBATE, NOR A DISCUSSION. THE GOSPEL IS AN ANNOUNCEMENT ! IT’S NOT EASY BEING GREEN! But it’s the environmentally-expedient thing to do! The NEW EARTH BAND is carrying its share in accepting man’s stewardship of this old earth! The cover packaging of all three of our CD’s, “The NEW EARTH BAND”, “GOSPEL TRUTH”, and “The LAST KAMIKAZE” are totally “green”, seriously-spiffy, forward-thinking, and environmentally-friendly. We’ve taken a giant step upward from the conventional dinosaur plastic jewel case packaging that cracks and breaks, and clogs the landfills. Instead, we’ve opted for the new, cutting-edge, bio-degradable, UV-coated, light-weight, recycled craftboard package from our friends at DiscMakers (www.discmakers.com). We firmly believe that walking God’s walk includes reducing our carbon footprint on this planet! Hopefully, many other artists will soon begin to follow the lead of The NEW EARTH BAND ! “We are pleased to have the fellowship of the members of The NEW EARTH BAND. This fellowship has been a part of Whitedove Radio for several years. Knowing Brother Lee Schappell, and speaking to him throughout the years, the Holy Spirit has developed bridges where distance is irrelevant. You can know the heart and see the fruit of one’s profession through the actions of his pronounced faith, through Him! The NEW EARTH BAND ministers through music what is expressed in their testimony. We are proud to air them on Whitedove Radio and know any venture they set to do they will do as is pleasing unto our Lord and Savior Jesus Christ. The NEW EARTH BAND’s Lee Schappell recorded seven “hopping-good” station identification spot announcements for the internet Gospel station Whitedove Gospel Radio - which you may listen to by clicking on the blue links below. Click below to hear The NEW EARTH BAND’s WhiteDove SPOT ANNOUNCEMENTS! As of January 31, 2016, Live365, which was one of the original internet streaming networks, as well as one of the largest, closed its doors and ceased operations, forcing literally thousands of internet radio stations to seek affiliation with new networks, or shut simply down. Sadly, after 13 years of gospel ministry in song and word, WhiteDove Gospel Radio became one of the latter group. It had always been our hope and prayer that WhiteDove Gospel Radio would succeed in aligning with a new network and continue its fine work for the advancement of the Good News and the completion of God’s gospel work. Known professionally as “Crystal Clear”, owner and operator of White Dove Gospel Radio, this golden-hearted Sister in Christ not only proclaimed daily the Good News of the Gospel to the world in music, but she truly lived and walked it in real time, frequently pausing to lift up, and minister to, listeners and artists alike. 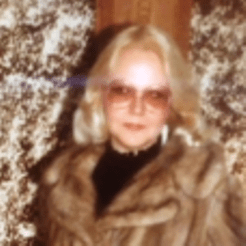 At the peak of AM-radio’s heyday, Paula plied her trade at St. Louis’ pioneer “American Graffiti” top-40 station, KXOK 630AM, before founding White Dove Gospel Radio, by which she faithfully served her Lord with much gladness – and a most-joyful noise! We genuinely appreciate Crystal’s airing our music across a nine-year span, as well as affording me the personal honor and privilege of recording some creative PSA’s for WhiteDove Gospel Radio. We’ll be earnestly looking forward to that soon-to-come and long-anticipated Resurrection Morning, and to walking and talking with our Good Sis in this Earth-Made-New! >>> The NEW EARTH BAND has recently been contacted by Gospel radio station KIIT, on the enchanted isle of Puerto Rico, with the following message: “Please tell us how we can get your music to place it in our radio station … we love your music!” We promptly responded, sending them a little bit of everything! Muchos gracias, Amigos!” If you’re within reasonable earshot, give KIIT a listen! >>> The internet Gospel radio station, Gospel Twang, on the Radionomy network, which features primarily Classic Country artists, has to our total delight been playing several NEW EARTH BAND selections, such as “He’s My Friend”, “My Lord and I”, and “Born Again”. >>> The unique, rough-cut sound of The NEW EARTH BAND has been broadcast by Northern Ireland Country Music station RadioStar Country, a “semi-pirate” (no offense intended!) station featuring Country and Gospel music from the USA, Canada, and Australia, reports contact person Elaine Clarke. COME, SEE and HEAR The NEW EARTH BAND at the FOLLOWING EVENTS. WE’LL FILL YOUR TANK and CHARGE YOUR BATTERIES, THEN WE’LL SEND YOU OUT WITH A FIRE IN THE BELLY, TO SHARE THE GOOD NEWS – BECAUSE GOD CAN’T DRIVE A PARKED CAR !!! April 20 to 27, 2019 - The NEW EARTH BAND’s Lee Schappell will be participating in the joyous 8-day Passover camp-meeting celebration, hosted by Bible Explorations (www.BibleExplorations.com), in Terra Bella, CA., bringing with him some of that original, down-home-grown Country Gospel music. Bible Explorations streams conservative, “safe”, Biblically-grounded Christian programming on its www.BibleExplorations.com website, 24 hours a day, seven days a week. Simply log on, then select “Watch BETV” at the upper-right. Bible Explorations also broadcasts via YouTube, Roku, AmazonFire, and GoogleTV. See the BETV website for further details, or inquire by email to info@bibleexplorations.com. To learn how you can be a part of the incredible ”taste of Heaven” experience with Saints from far and near at the 2019 Spring Feast of Passover and/Unleavened Bread celebration, call Bible Explorations at 877-475-1318. Sunday, May 5, 2019, 4p – The Rocky Mountain Band will perform a full concert of the regal music of the beloved John Denver, for the benefit of C.A.S.A. / Court-appointed Special Advocates for Children (www.casaforchildren.org) at Kissinger’s Church (www.kissingerschurch.org), 715 Berkshire Blvd, Wyomissing PA, Sunday, May 5, 2019. The general public is invited and is most welcome. There will be no admission charge, and a free-will offering will be received for the benefit of C.A.S.A. Food and beverages will be available, with all proceeds going to C.A.S.A. Sunday, May 12, 2019, 3:15p – The “Grey Geezers” of The NEW EARTH BAND bring a Gospel Music Matinee to the outdoor Mothers’ Day celebration at Columbia Cottage, 3121 State Hill Road, Wyomissing, PA, (www.columbiacottages.com). Tuesday, May 14, 2019, 7:30p – The distinct honor has been extended to The NEW EARTH BAND to provide an hour of loose-and easy, after-dinner, rural gospel music for the attendees of the “2019 Women’s-Girls’ Social” of the Women of the Evangelical Lutheran Church of America (W.E.L.C.A.) (www.womenoftheelca.org), to be held at St. Mark’s Evangelical Lutheran Church, 81 Main Street, Pennsburg, PA. Dinner begins at 6:30p, with music at 7:30p. Saturday, May 18, 2019, 7p – That terrific twosome of Dave Reinwald Live! and Lee Schappell, of The NEW EARTH BAND return to the Hebrews Café, at West Lawn United Methodist Community Center (www.westlawnumc.org), 15 Woodside Avenue, West Lawn, PA, with an all-gospel evening concert. Friday, May 21, 2019, 11a-1p – The NEW EARTH BAND’s Lee Schappell will be presenting the foundational message “Christ in You, You in Christ” at The Torch, 134 Maple Drive, Morgantown, PA 19543 (ehtesting4@gmail.com). Thursday, May 30, 2019, 3-4p – It’ll be a welcome return as The NEW EARTH BAND comes back to Keystone Villa at Fleetwood (www.keystonevillaatFleetwood.com) 501 Hoch Road, Blandon, PA, with a “Happy Hour” of good-time, rural gospel music for the residents. Sunday, June 9, 2019, 2-4p – “Strawberry Fields Forever!” Kissinger’s Church, 715 Berkshire Blvd., Wyomissing, PA (www.kissingerschurch.org), celebrates their First Annual Kissinger’s Strawberry Festival – and you can etch the date it whipped cream! Dave Reinwald Live, with sideman Lee Schappell, of The NEW EARTH BAND, will deliver a fragrant array of Oldies-But-Goodies for all! Thursday, June 13, 2019, 2:30p – Ushering in the Summer season will be Dave Reinwald Live! and sideman, The NEW EARTH BAND’s Lee Schappell, at Berkshire Commons, 5485 Perkiomen Avenue, Reading PA (www.genesishcc.com) with an afternoon of Oldies-But-Goodies for the residents..
Friday, June 14, 2019, 12:30p – The Fathers’ Day celebration at Amity Place, 139 Old Swede Road, Douglassville, PA (http://www.enlivant.com/communities/pennsylvania/amity-place-douglassville) will feature an awesome Bar-B-Q for residents and their guests, topped-off with a hour of live, easy gospel music, courtesy of The NEW EARTH BAND. 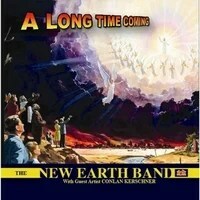 Sunday, June 16, 2019, 3:15p – Once more, it’ll be The NEW EARTH BAND with an Easy Gospel Music Matinee to celebrate Fathers’ Day with the residents of Columbia Cottage, 3121 State Hill Road, Wyomissing, PA, (www.columbiacottages.com). Tuesday, June 18, 2019, 6:30p – Those “Silver Fossils” return to one of their original haunts when The NEW EARTH BAND brings an hour of Loose-and-Easy, rural Gospel music to “Family Night” at Maiden Creek Place (http://www.enlivant.com/communities/pennsylvania/maidencreek-place-reading), 105 Dries Road, Reading, PA.
Friday, June 21, 2019, 7p – The NEW EARTH BAND’s Lee Schappell will be presenting the fourth installment of “Where the Rubber Meets the Road”, the blue-collar gospel in music and testimony at The Torch, 134 Maple Drive, Morgantown, PA 19543 (ehtesting4@gmail.com). Sunday, June 30, 2019, 6:30p – The Rosedale Camp Grove Association, 1616 Vine St, Laureldale, PA 19605 (www.rosedalegrove.org), has extended the invitation to The NEW EARTH BAND to return to the Grand Pavillion with a Summer’s Eve of good-time, loose-and-easy, Country Gospel Music for Rosedale’s 2019 Summer Concert Series. The public is invited and is most welcome … with the famous Rosedale Ice Cream Social to follow the concert. We’ll be looking for you! 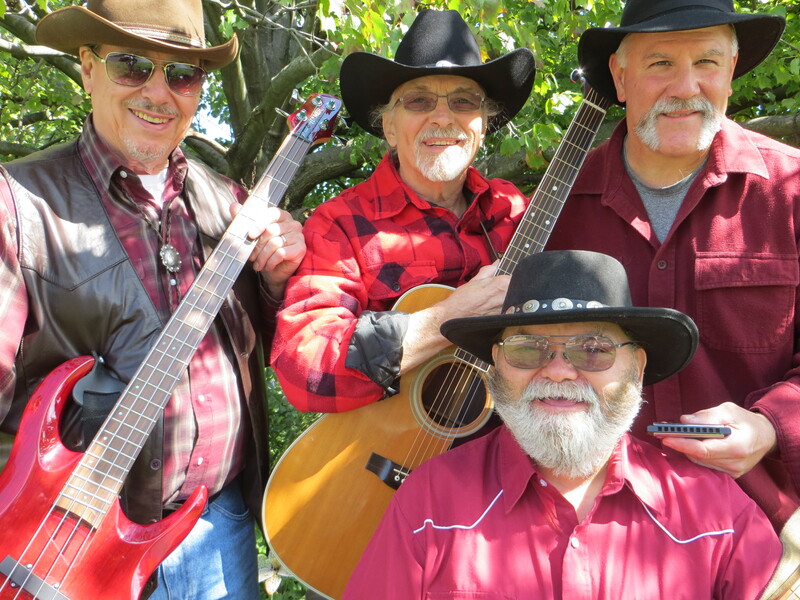 Friday, July 5, 2019, 2p – Making their debut at Mifflin Court, 450 E. Philadelphia Avenue, Shillington, PA, (www.genesishcc.com/MifflinCourt) will be The NEW EARTH BAND, with a truckload of loose and easy Country Gospel Music for the residents. Tuesday, July 9, 2019, 1p – The invitation has gone out to The NEW EARTH BAND to bring in a wagon-load of Loose-and-Easy Country Gospel Music to the July meeting of the Shoemakersville Area Senior Citizens’ Club at the Shoemakersville Fire Company Banquet Hall. Sunday, August 4, 2019, 1:30p to 4p – A walk down Memory Lane awaits the attendees of the 2019 Annual Olive Leaf Chapel Peach Festival (www.Facebook.com/pages/Olive-Leaf-Chapel/133517666691925), at the Olive Leaf Chapel Grove, 846 Fritztown Road, Sinking Spring, PA, as Dave Reinwald Live! with sidekick Lee Schappell, of The NEW EARTH BAND, bring in a wagonload of Oldies-But-Goodies. October 14 to 21, 2019 - The NEW EARTH BAND’s Lee Schappell will be participating in the joyous 8-day Feast of Tabernacles camp-meeting celebration, hosted by Bible Explorations, Terra Bella, CA, (www.BibleExplorations.com), bringing with him some of that original, home-grown Country Gospel music. Bible Explorations streams conservative, “safe”, Biblically-grounded Christian programming on its www.bibleexplorations.com website, 24 hours a day, seven days a week. Simply log on, then select “Watch BETV” at the upper-right. Bible Explorations also broadcasts via YouTube, Roku, AmazonFire, and GoogleTV. For further information on how you can receive the BETV programming, inquire by email to info@bibleexplorations.com To learn how you can be a part of the incredible ”taste of Heaven” experience with Saints from far and near at this 2019 Fall Feast of Tabernacles celebration, call Bible Explorations at 877-475-1318. Monday, December 16, 2019, 1:30p – The annual Christmas Banquet of The West Lawn Seniors, at the West Lawn United Methodist Community Center (www.westlawnumc.org), 15 Woodside Avenue, West Lawn, PA, will feature the seasonal music and cheer of Dave Reinwald Live! accompanied by side-kick Lee Schappell, of The NEW EARTH BAND. Wednesday, December 18, 2019, 1:30p – It’ll be a sweet homecoming as The NEW EARTH BAND comes back to the warm-and-fuzzy confines – and those warm-and-fuzzy residents! – of Colonial Lodge (www.coloniallodge.com), 2015 North Reading Road, Denver PA, 17517, with Winter Matinee of old-fashioned, hoppin’-good, Country Gospel Music. 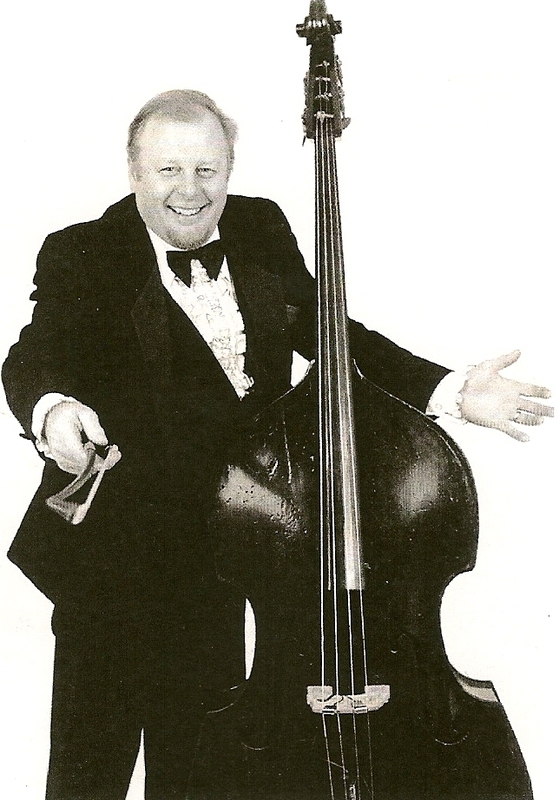 Our hearts remain heavy as we remember the passing of The NEW EARTH BAND bassist and beloved friend Stan Witinski. Stan was not only a superb bassist, but he was also a fine pianist and organist, having played keyboards for many years with Bobby Newton & The Band. Stan, whose father was an icon in motorcycle racing, had a long and well-traveled career in rock, pop, blues, and jazz, dating back to the late 1950′s, playing with more headliner bands than memory allows – including Rock’n’Roll pioneer Chuck Berry - ultimately joining The NEW EARTH BAND in 2010. 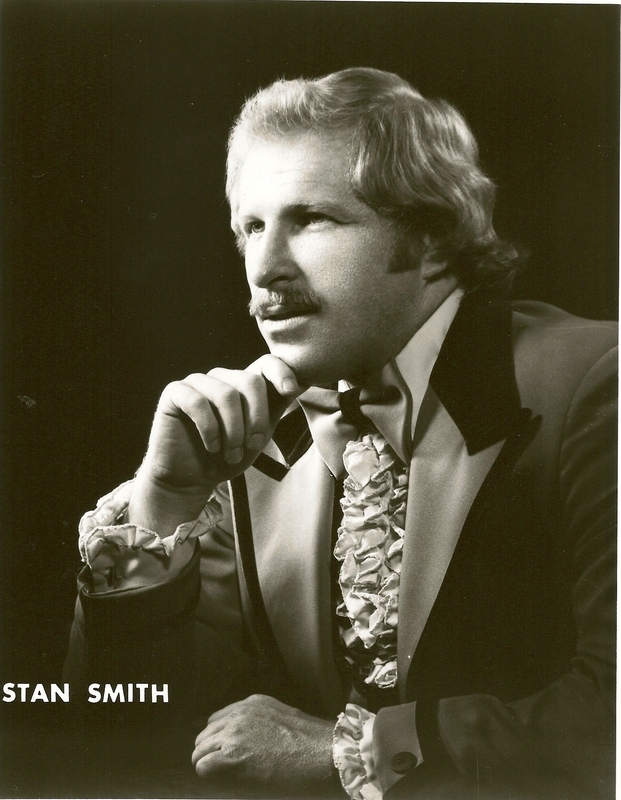 Pleasant, easy, and so agreeable, Stanley “Smith” Witinski was truly loved by all. To say Stan will be sorely missed would constitute the understatement of the 21st Century. REMEMBERING NEW EARTH BAND fiddler and bassist Warren “Mose” Boyer. A most earnest, courteous, respectful, kind, gentle man, and a true master musician, “The Moser” was one-of-a-kind, irreplaceable indeed. He will be missed by fellow NEW EARTH BAND members, as well as by the countless numbers of followers who loved “Mose” throughout his astounding, seven-decade-long, musical legacy. The passing of a solid friend and music icon, “Mr. Entertainment”, Craig Wes Fisher, has left a lingering empty space in our hearts. Well known and much loved by all, Craig leaves a gap that simply cannot be filled until we are reunited once more at that great open-jam that will most assuredly follow The Marriage Feast of the Lamb! That was some great time we had at The Zerbe Sisters Nursing Center, 2499 Zerbe Road, Narvon, PA (www.zerbesisters.com) on Thursday, April 11, 2019, as The NEW EARTH BAND presented a hopping-good matinee of old-time Country Gospel music for the Zerbe residents and staff! Many thanks to the Pottstown SDA Church (www.pottstownsda.org), 1134 North Charlotte Street, Pottstown PA, for the warmest welcome as The NEW EARTH BAND’s Lee Schappell presented the message at the worship hour, titled “Israel, The Overcomer”, on Sabbath, Saturday, April 6, 2019. Hooo-weee! The NEW EARTH BAND returned to Wyomissing Nursing & Rehabilitation Center (https://www.senioradvisor.com/local/wyomissing-nursing-and-rehabilitation-center-reading-pa), 1000 E. Wyomissing Blvd., Reading, PA, Friday, April 5, 2019, with a lively matinee of old-fashioned, throwback, rural Gospel music for the residents and their guests. A hearty shout-out to the residents and staff of Grand View Manor, 129 Houck Road, Fleetwood PA (www.gvmanor.com), for the genuine welcome when that dynamic duo of Dave Reinwald Live! 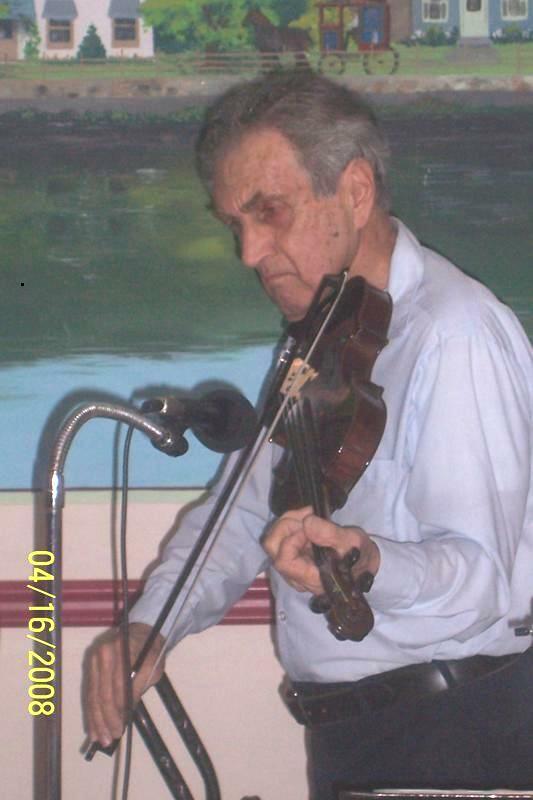 and sideman Lee Schappell, of The NEW EARTH BAND returned to the lofty heights above Fleetwood, PA (www.gvmanor.com), with an after-dinner set of Oldies-But-Goodies for the residents, Thursday, April 4, 2019.. The Green Hills rang with good-time gospel music, Tuesday, April 2, 2019, when The NEW EARTH BAND returned to Green Hills Manor (www.Heritageofgreenhills.com), 10 Tranquility Lane, Reading, PA 19607, with a Spring Matinee for the residents. Thanks to the residents and staff at Berkshire Commons, 5485 Perkiomen Avenue, Reading PA (www.genesishcc.com), for their warmth and response as Lee Schappell, of The NEW EARTH BAND, presented the worship hour message, “Christ In You, You In Christ”, Sunday, March 24, 2019. A genuine “thank you” to the residents of Manor at Market Square, 803 Penn Street, Reading PA, (www.manoratms.com) for their customary welcome and full response as The NEW EARTH BAND’s Lee Schappell presented the worship hour message, “Christ In You, You In Christ”, Saturday, March 23, 2019. Muchos gracias to the residents of The Sencit Townhouse, 20 South Summit Avenue, Shillington PA, as the Dave Reinwald Live! show, with “gray geezer” bassist Lee Schappell, of The NEW EARTH BAND, rolled in for an Oldies-But-Goodies for the troops, Thursday, March 21, 2019. Thanks go out to the League of Golden Agers of Mohnton, for their warm reception and participation, Wednesday, February 27, 2019, as Dave Reinwald Live! and sideman Lee Schappell, of The NEW EARTH BAND, brought in a half-hour of loose-and-easy Country Gospel Music to the meeting at St. John’s Parish House, 1 Front Street, Mohnton, PA.
Our warm “Thank you” goes out to the residents and staff of the splendidly-spiffy StoneRidge Poplar Run Retirement Community (www.stoneridgeretirement.com), 440 East Lincoln Avenue, Myerstown, PA, for an exceptionally-warm welcome when Dave Reinwald Live! along with bassist Lee Schappell of The NEW EARTH BAND took the Theatre on Main audience on a memorable walk down Memory Lane, Monday, with their Oldies-But-Goodies show, February 25, 2019. Genuine thanks to the residents of Berkshire Commons, 5485 Perkiomen Avenue, Reading PA (www.genesishcc.com) for a great reception as Dave Reinwald Live! and sideman, The NEW EARTH BAND’s Lee Schappell, brought in a solid hour of 1950′s and 1960’s Oldies-But-Goodies and DooWop Matinee, on Thursday, February 21, 2019. Another warm-and-fuzzy evening, Friday, February 15, 2019, as The NEW EARTH BAND’s Lee Schappell presented installment #2 of “The Blue-Collar Gospel” in music and testimony at The Torch, 134 Maple Drive, Morgantown, PA 19543 (ehtesting4@gmail.com). What a homecoming! when the “Grey Geezers”, The NEW EARTH BAND, trucked in a Mid-winter Matinee of loose-and-easy country gospel music for the residents at Grand View Manor, 129 Houck Road, Fleetwood PA (www.gvmanor.com), Thursday, February 7, 2019. Many thanks to the residents and staff of Amity Place, 139 Old Swede Road, Douglassville, PA (www.aplaceformom.com/community/amity-place-1367174), as The NEW EARTH BAND’s Lee Schappell presented the Sunday, January 27, 2019, worship hour message, “Israel, The Overcomer”. Our gratitude to the congregation of the West Chester SDA Church (www.learningjesus.com), 826 South High Street, West Chester, PA, for the warmest of welcomes on the coldest of days, as The NEW EARTH BAND’s Lee Schappell presented the message, titled “Israel, The Overcomer”, at the worship hour, Saturday, January 19, 2019. “Out with the old - in with the new!” as the inimitable Dave Reinwald Live! with his snowy-haired sidekick and bassist, The NEW EARTH BAND’s Lee Schappell, ushered in the New Year 2019 for the residents and their guests at the luxurious Keystone Villa at Ephrata, 100 North State Street, Ephrata, PA (www.keystonevillaatephrata.com, with an evening of classic Oldies-But-Goodies and some painfully-lousy jokes, Monday, December 31, 2018. Prospero Ano Nuevo! goes out to the Met-Ed Retirees for their typically-warm reception as that dynamic duo of Dave Reinwald Live! and sideman bassist Lee Schappell, of The NEW EARTH BAND, brought a Holiday Matinee of music to their annual dinner at the sumptious Crowne Plaza (www.crowneplaza.com), 1741 Paper Mill Road, Wyomissing, PA, Thursday, December 20, 2018. Many thanks to the People Over 50 Club for the warmest of welcomes, as the Dave Reinwald Live! road show, with The NEW EARTH BAND’s Lee Schappell on bass, delivered the after-dinner Holiday Cheer in music at the Good Shepherd United Church of Christ (www.goodshepherducc.org/) , 170 Tuckerton Road, Reading, PA, Wednesday, December 12, 2018. Greetings of the Season to the good folks of Rosemont Development for a great time as Dave Reinwald Live! and sidekick bass-man Lee Schappell, of The NEW EARTH BAND, brought a sleighful of seasonal music to their Friday, December 7, 2018, annual Holiday Banquet at the Berks Y.R. Club (www.berksyrclub.com), Thrush Road, Wyomissing, PA.
Holiday cheer abounded when that Pernicious Pairing of Dave Reinwald Live! and his accompanist, bassist Lee Schappell, from The NEW EARTH BAND, brought a sleighful of cheer to the West Lawn Seniors’ annual banquet at the West Lawn United Methodist Community Center (www.westlawnumc.org), 15 Woodside Avenue, West Lawn, PA, Tuesday, December 4, 2018. Danke, danke schoen! to the staff and to the countless folks who attended the Shartlesville Winter Carnival, Saturday, December 1, 2018, where Dave & Jackie Reinwald, and The NEW EARTH BAND’s Lee Schappell presented a sleighful of Holiday music for the gala yearly event at Frieden’s Lutheran Church, 28 Wolf Creek Road, Bernville PA (www.friedensfolks.org). One huge shout-out to the 200-plus faithful who attended and supported The Rocky Mountain Band’s Benefit Concert for F.R.E.E., (http://www.freefromht.org/), Morgantown, PA, Sunday, November 4, 2018, at Kissinger’s Church, 715 Berkshire Blvd, Wyomissing PA, (www.kissingerschurch.org), featuring the regal classics of the beloved John Denver, with opening special musical tributes to The Temptations, Neil Diamond, and Willie Nelson..
Muchos Gracias! To the Bible Explorations management and staff for going the distance for everyone attending the joyous 8-day Feast of Tabernacles camp-meeting celebration at Bible Explorations, in Terra Bella, CA (www.BibleExplorations.com), October 24 through October 31, 2017 . The NEW EARTH BAND’s Lee Schappell, San Diego bassist Don Velazquez, and Montana’s Dan & Carol Liss delivered a generous helping of easy, Southern- and Country-Gospel music throughout the Festival. Bible Explorations unapologetically streams solid, Biblically-grounded, conservative Christian programming on its www.BibleExplorations.com website, 24 hours a day, seven days a week - with a new program at the top of each and every hour. Simply log on, then select “Watch BETV” at the upper-right. Bible Explorations also broadcasts via YouTube, Roku, AmazonFire, and GoogleTV. See the BETV website for further details, or inquire by email to info@bibleexplorations.com. To learn how you can be a part of the incredible ”taste of Heaven” experience with Saints from far and near at the 2019 Fall Feast of Tabernacles celebration, call Bible Explorations at 877-475-1318. It was a long time coming, but The NEW EARTH BAND revisited the friendly confines of Maiden Creek Place (http://www.enlivant.com/communities/pennsylvania/maidencreek-place-reading), 105 Dries Road, Reading, PA, with an evening of good-time, country gospel music for the residents, Tuesday, September 4, 2018. A full house awaited the Dave Reinwald Live! show, with sideman Lee Schappell, of The NEW EARTH BAND, as the dynamic duo brought a matinee of Oldies-But-Goodies to the Myerstown Seniors’ Club dinner at the Hebron Banquet Hall (www.hebronhc.com/banquet.htm), 701 Walnut St., Lebanon, PA, Tuesday, September 4, 2018. The Dave Reinwald Live! fracas, with sideman Lee Schappell, of The NEW EARTH BAND in tow, returned to the friendly ambiance of the elegant Keystone Villa at Ephrata, 100 North State Street, Ephrata, PA (www.keystonevillaatephrata.com) with an evening of Oldies-But-Goodies for the residents, Tuesday, August 21, 2018. It was love at first sight when The NEW EARTH BAND brought a truckload of loose-and-easy country gospel music to the monthly meeting of the Bernville Young at Heart, at the Bernville Grange, 57 Grange Road, Bernville, PA, Wednesday, August 15, 2018. A grand time it was as The NEW EARTH BAND made its triumphant return to the elegant Oakshire Senior Apartments, 350 Lackawanna Street, Reading PA 19601 (www.oakshireseniorapts.com), with a mid-summer matinee of good-time rural Gospel music for the residents, Tuesday, August 7, 2018. Many thanks to the members of the Shoemakersville Area Senior Citizens’ Club for a great welcome and warm response as “The Gray Gringos” of The NEW EARTH BAND returned to the Shoemakersville Fire Company Banquet Hall with an hour of loose-and-easy, good-time country gospel music for the Club’s monthly business meeting, Tuesday, July 24, 2018. Grazie! Grazie! to the staff and residents of Berkshire Commons, 5485 Perkiomen Avenue, Reading PA (www.genesishcc.com), as The NEW EARTH BAND’s Lee Schappell brought the message “Getting Ready for Jesus” to the worship hour, Sunday, July 22, 2018. Our genuine appreciation to the residents and staff of The Gardens at Stevens, 400 Lancaster Avenue, Stevens PA, for a toasty welcome and great response, Friday, July 20, 2018, as The NEW EARTH BAND made an energetic return with a lively Country Gospel Matinee of music to lift the spirits of the residents. A hearty shout-out to the residents and staff of Amity Place, 139 Old Swede Road, Douglassville, PA (http://www.enlivant.com/communities/pennsylvania/amity-place-douglassville), for a warm and toasty response as The NEW EARTH BAND returned to the friendly confines, Thursday, July 12, 2018, for an evening of loose-and-easy Country Gospel music for all! Our hearts go out once more to the members of the Rosedale Camp Grove Association, 1616 Vine St, Laureldale, PA 19605 (www.rosedalegrove.org), and the patrons of their 2018 Summer Concert Series – who braved the 99-degree temps on the hottest day of the year – for a ‘rousing welcome and great participation, as The NEW EARTH BAND returned to The Grove on Sunday evening, July 1, 2018, with an hour-plus of good-time Country Gospel Music. High fives to the members of the “People Over 50″ seniors’ club for their warm welcome, as The NEW EARTH BAND brought its hopping-good Country Gospel road show to Good Shepherd United Church of Christ (www.goodshepherducc.org/) , 170 Tuckerton Road, Reading, PA, Wednesday, May 24, 2017. Many thanks to Epler’s United Church of Christ (www.eplerschurch.org) , 1151 West Leesport Road, Bern Township, and the patrons of their 2018 Strawberry Festival for a warm and fuzzy welcome as the duo of Dave Reinwald Live! and his sidekick, The NEW EARTH BAND’s Lee Schappell, presented a late afternoon of good-time gospel music for the event. A humongous shout-out to the residents and staff of Colonial Lodge (www.coloniallodge.com), 2015 North Reading Road, Denver PA, 17517, for a truly great time and lots of singing along, as The NEW EARTH BAND brought in a slate of loose and easy Country Gospel music, Monday, May 21, 2017. Our gratitude to the residents and staff of Columbia Cottage (www.columbiacottages.com), 3121 State Hill Road, Wyomissing, PA, for bestowing to The NEW EARTH BAND the privilege of, again, delivering a hopping-good “Mothers’ Day” Country Gospel after-dinner soiree, Sunday, May 13, 2018. Many thanks and God’s blessings to Evangelist John VanDenburgh and the Bible Explorations staff for their “extra-mile” hospitality as The NEW EARTH BAND’s Lee Schappell delivered a generous helping of easy, rural Gospel music during their joyous 8-day Feast of Passover camp-meeting celebration at Bible Explorations, in Terra Bella, CA (www.BibleExplorations.com), April 11 through April 18, 2017. Bible Explorations streams its Biblically-grounded, conservative Christian programming on its www.BibleExplorations.com website, 24 hours a day, seven days a week - with a new program at the top of each and every hour. Bible Explorations also broadcasts via YouTube, AmazonFire, Roku and GoogleTV. For information as to how you too can be a part of an incredible ”taste of Heaven” experience with saints from far and near at next Spring’s Passover & Unleavened Bread celebration, log onto the Bible Explorations website and follow the prompts, or call Bible Explorations at 877-475-1318. To view BETV’s 24/7 programming, select “Watch BETV” on the home page. Muchos gracias! 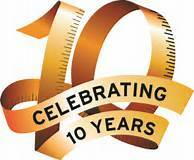 going out to the “People Over 50″ seniors for a great reception as the Dave Reinwald Live! road show, with The NEW EARTH BAND’s Lee Schappell, on bass, delivered a pre-dinner matinee of Oldies-But-Goodies to Good Shepherd United Church of Christ (www.goodshepherducc.org/) , 170 Tuckerton Road, Reading, PA, Wednesday, April 25, 2018. A sincere ”Thank-you” to Pastor Tom Stone and the members of the Pottstown SDA Church (www.pottstownsda.org), 1134 North Charlotte Street, Pottstown PA, for the warmest welcome as The NEW EARTH BAND’s Lee Schappell presented the message “Christ In You – You In Christ” at the morning worship hour, Saturday, April 21, 2018. That was some great time we had at The Zerbe Sisters Nursing Center, 2499 Zerbe Road, Narvon, PA (www.zerbesisters.com) on Thursday, April 12, 2018, as The NEW EARTH BAND presented a hopping-good matinee of old-time Country Gospel music for the Zerbe residents and staff! It was a real gas! when The NEW EARTH BAND rode in (on a sloppy snow and slush storm!) to the monthly meeting of the UGI Seniors’ Club at St. John’s Reformed Church (www.stjohnsss.org), 4001 Penn Avenue, Sinking Spring, PA, and delivered a warming matinee of good-time country gospel music. Danke! Danke! to the staff and residents of Manor at Market Square, 803 Penn Street, Reading PA, (www.manoratms.com), as The NEW EARTH BAND’s Lee Schappell delivered the message for the morning worship service, “Christ, Our Refuge”, Saturday, January 27, 2018. What a truly great time! when The NEW EARTH BAND returned to The Theatre on Main at the splendidly-spiffy StoneRidge Retirement Community (www.stoneridgeretirement.com), 440 East Lincoln Avenue, Myerstown, PA, with an evening of good-time, country gospel music for the full-house turnout, Monday, January 22, 2018! Many thanks to the residents of Maiden Creek Place, 105 Dries Road, Reading, PA, (http://www.enlivant.com/communities/pennsylvania/maidencreek-place-reading) for their attentiveness and participation as The NEW EARTH BAND’s Lee Schappell presented the message for the worship hour, “Jesus’ First Appearing – His Second Coming”, Sunday, December 24, 2017. A debut with dinner! The NEW EARTH BAND made its debut at the annual Holiday dinner of the Keystone Frei Mauer High 12, at the DeLuxe Restaurant Banquet Room (www.thedeluxerestaurant.com), 2295 Lancaster Pike, Shillington, PA, Monday, December 18, 2017. Holiday cheer abounded when Dave Reinwald Live! and bassist Lee Schappell, of The NEW EARTH BAND, made their debut at The Breakfast Hut, 4170 Perkiomen Avenue, in Exeter Township, for the annual dinner of the Zion-Spies Seniors, Thursday, December 14, 2017. A genuine “Thank-you” to the members of the Alsace Lutheran Church Seniors for their warm reception, as the inimitable Dave Reinwald Live! and sideman, The NEW EARTH BAND’s Lee Schappell, served up a generous portion of after-dinner cheer for their annual banquet at The Inn at Reading (www.innatreading.com), 1040 North Park Road, Wyomissing, PA, Tuesday, December, 12, 2017. It was Yogi Berra’s “DejaVu, all over again” as Dave Reinwald Live! along with The NEW EARTH BAND’s Lee Schappell on bass, provided for the fourth year running the after-dinner music for the UGI Seniors Club at The Inn at Reading (www.innatreading.com), 1040 North Park Road, Wyomissing, PA, Tuesday, December 12, 2017. Just like coming home! The NEW EARTH BAND returned to their country venue, Ephrata Manor (www.ucc-homes.org/ephrata_manor.htm) 99 Bethany Road, Ephrata, PA, on Tuesday, November 21, 2017, with a truckload of good-time Country Gospel music for the residents and staff on “Everybody’s Birthday” Day! One huge shout-out to all of the faithful who attended and supported The Rocky Mountain Band’s Benefit Concert for Mentors for Berks Youth (www.m4by.org), Shillington, PA, Sunday, October 29, 2017, at Kissinger’s Church, 715 Berkshire Blvd, Wyomissing PA, (www.kissingerschurch.org), featuring the regal classics of the beloved John Denver, with special musical tributes to Glenn Campbell and Tom Petty. Congrats and Thank-you’s to the Reading/Berks Conference of Churches (www.readingberkschurches.org) for the extending to The Rocky Mountain Band, with The NEW EARTH BAND’s Lee Schappell on bass, the invitation to perform at RBCC’s 70th Anniversary Dinner at the luxurious Crowne Plaza, 1741 Papermill Rd, Wyomissing, PA, (www.CrownePlaza.com/Reading/), Saturday evening, October 28, 2017. Gracias! Gracias! Gracias! to Evangelist John VanDenburgh and the Bible Explorations staff for going the distance for everyone attending the joyous 8-day Feast of Tabernacles camp-meeting celebration at Bible Explorations, in Terra Bella, CA (www.BibleExplorations.com), October 5 through October 12, 2017 . The NEW EARTH BAND’s Lee Schappell, San Diego bassist Don Velazquez, and Montana’s Dan & Carol Liss delivered a generous helping of easy, country gospel music throughout the Festival. Bible Explorations unapologetically streams solid, Biblically-grounded, conservative Christian programming on its www.BibleExplorations.com website, 24 hours a day, seven days a week - with a new program at the top of each and every hour. Bible Explorations also broadcasts via YouTube, AmazonFire, Roku and GoogleTV. For information as to how you too can be a part of an incredible ”taste of Heaven” experience with saints from far and near at next Spring’s Passover & Unleavened Bread celebration, log onto the Bible Explorations website and follow the prompts, or call 877-475-1318. To view BETV’s 24/7 programming, select “Watch BETV” on the home page. Most gracious thanks go out to the residents and staff of the Sanatoga Ridge Community (www.sanatogaridge.com), 2461 E. High St, Pottstown, PA 19464, for their first-class reception and response as Dave Reinwald Live!, along with sideman Lee Schappell, of The NEW EARTH BAND, brought with them a slate of Oldies-But-Goodies, Wednesday, September 20, 2017. Thanks two bunches to the residents and staff at the elegant Keystone Villa at Ephrata, 100 North State Street, Ephrata, PA (www.keystonevillaatephrata.com for the warmest of welcomes as the dangerous duo of Dave Reinwald Live! and his bassist, The NEW EARTH BAND’s Lee Schappell, roared in like a charging rhino, bringing with them an Autumn evening of sweet Oldies-But-Goodies, Tuesday, September 19, 2017. One raucus shout-out to the members of the Tuckerton Nifty-50 for a their great reception and participation as Dave Reinwald Live! and accompanist, The NEW EARTH BAND’s Lee Schappell took them on a musical stroll down Memory Lane with an hour of Oldies-But-Goodies and a dab of DooWop, at their Monday, August 23, 2017 dinner and meeting at Good Shepherd Lutheran Church (www.gselc.org) 4201 Stoudt’s Ferry Bridge Road, Reading PA.
A dynamic debut it was as The NEW EARTH BAND made its premier appearance at the classy Keystone Villa at Ephrata (www.keystonevillaatephrata.com), 100 North State Street, Ephrata, PA, with a Summer’s evening of loose-and-easy Country Gospel music for the residents and staff, Tuesday, August 22, 2017. Many thanks going out to the Muhlenberg Golden Seniors as the Grey Geezers, The NEW EARTH BAND, trucked in a load of hopping-good rural Gospel music for The Muhls’ annual picnic, held at Jim Dietrich Park, 4899 Stoudt’s Ferry Bridge Road, in Muhlenberg Township, August 21, 2017. We are most grateful to the members of the Golden Seniors of Spies Church for their warm-and-fuzzy response as The NEW EARTH BAND returned to Zion-Spies Evangelical Lutheran Church, 310 Spies Church Road, Reading, PA 19606 (www.zionspies.org), for their monthly dinner-meeting, Thursday, July 13, 2017. Danke Schoen! to the members of the Myerstown Seniors Club, for the great reception they gave Dave Reinwald Live! with The NEW EARTH BAND’s Lee Schappell on bass, at their dinner meeting, Wednesday, July 5, 2017, held at Ozgood’s Restaurant, 319 E. Penn Avenue, Robesonia PA.
A warm and fuzzy time it was at the Bernville Grange, 57 Grange Road, Bernville PA, where Dave Reinwald Live! and bassist Lee Schappell, of The NEW EARTH BAND, presented a whole slate of Oldies-But-Goodies, Wednesday, Wednesday, June 21, 2017, for the members of The Bernville Young-at-Heart. A warm “thank-you” to the members of St. Luke’s / New Life Seniors Club, 315 W. Broad St., Shillington, PA (www.newlifeofshillington.org) for their hospitality and kindness as one-half of The NEW EARTH BAND, Marvelous Markie Miller and Lee Schappell presented a matinee of old-fashioned, throwback, country gospel music to their Tuesday, June 13, 2017 gathering. God bless you members of the congregation of Salem United Methodist Church, 605 Main Street, Shoemakersville, PA (www.salemum.com/) for your warm reception as The NEW EARTH BAND presented their signature, gentle, rural gospel music, woven throughout the annual outdoor worship service at Shoemakersville Park. A hearty salute to the members of The Scottish Rite Golden Eagles senior club for their warm welcome and delicious dinner, Wednesday, May 17, 2017, when The NEW EARTH BAND made its debut at the Scottish Rite Cathedral, with a slate of loose-and-easy, good-time, country gospel music for the occasion. A tip of the hat to the residents and staff of StoneRidge Retirement Community, 440 East Lincoln Avenue, Myerstown, PA (www.stoneridgeretirement.com), for their especially warm welcome and great response as The NEW EARTH BAND served up an evening of loose and easy country gospel music, Wednesday, May 3, 2017. Thanks to all who attended and participated in The Rocky Mountain Band ’s Benefit Concert for C.A.S.A. / Court-appointed Special Advocates for Children (www.casaforchildren.org) at Kissinger’s Church (www.kissingerschurch.org), 715 Berkshire Blvd, Wyomissing PA, Sunday April 30, 2017. It’s been a long time! but The NEW EARTH BAND made its return to Rittenhouse Village (www.rittenhousesl.com) , 2900 Lawn Terrace, Reading PA, with a ‘rousing, mid-winter matinee of loose and easy, rural gospel music for the residents, Thursday, February 2, 2017. Genuine appreciation from The NEW EARTH BAND’s Lee Schappell to Pastor Tom Stone and the congregation at the Kenhorst Boulevard SDA Church (www.kenhorstchurch.org), 333 Kenhorst Blvd, Reading, PA, for the opportunity to deliver the message at the worship hour titled “Christ, Our Redemption”, Saturday, January 21, 2017. A full house greeted that unstoppable tandem of Dave Reinwald Live! and The NEW EARTH BAND’s Lee Schappell, as they presented an hour of Oldies-But-Goodies for the Lamplighters Seniors Group dinner at Calvary Bible Church, Valley Park Road, Phoenixville, PA, Thursday, January 19, 2017. A GOD of SECOND CHANCES – Who says ligntning doesn’t strike twice in the same place? And when opportunity knocks, you want to open the door, or the opportunity will pass! A HOLE IN THE WALL – Instead of coming boldly to the Throne of Grace, as God invites, I offered up a wimpy prayer that got me exactly what I asked for – and nothing more! ALL ABOUT The NEW EARTH BAND – New Earth Band members, their musical bios and pix. AMOS & ANTSY – Just how much wisdom could possibly be drawn from the counsel of a world-famous cookie guru? CHRIST IN YOU, YOU IN CHRIST – What does it really mean? How does that work? CHRIST, OUR REDEMPTION – Redemption did not originate with “Green Stamps”! The Plan of Redemption was laid before the foundation of the world, and reveals the true character and purpose of our Heavenly Father! CHRIST, OUR REFUGE – There’s one humongous mother-of-a-storm coming, but our God has prepared for us a safe, secure Hiding Place! GETTING READY FOR JESUS – Conducting a spiritual inventory, and taking the necessary steps to avoid being “all dressed up with nowhere to go”! GOD’S HOLIDAYS – Didn’t know God has Holidays? Yes, He most certainly does! Every beautiful Holiday is both commemorative AND prophetic of iconic events from the Exodus, thru the Cross, and on forward to the Kingdom! GOD’S SABBATH: A PURPOSE IN ALL THINGS – Has someone ever, perhaps thru misunderstanding your intended purposes, disrupted the order of your entire project and uprooted your master plan? Got Righteousness? Don’t be caught dead without it! HIS RIGHTEOUSNESS IS YOURS, if you’ll claim it! HE DIED FOR ME – That’s what I’ve been told. But I’m still going to die. He died for ALL, yet everyone dies. How can this possibly qualify as Good News? I’m confused! HE LIVED FOR ME – In God’s Witness Protection Program, Jesus deletes my past, my questionable “browsing history”, all my “fatal errors”, wipes my “hard-drive” pristine clean, and replaces my resume with His own! HE SAVES ME … CONTINUALLY! How can you know to a certainty that you will be saved into God’s Kingdom? The answer may surprise, and relieve, and please you! He wrote the Law that condemns you. He’s been appointed your Judge. He’s already paid your penalty. Now He offers to be – YOUR ADVOCATE. HEAVEN – IT’S THE REAL McCOY! Is Heaven a literal, physical, tangible place? Or is it a wispy, ethereal, spiritual twilight zone? Opinions abound – But what does God’s Word say? ISRAEL, the OVERCOMER. Who is this? Astoundingly Good News! Jesus is the fulfillment of God’s Covenant (LOOK! Galatians 3:16!). Christ is the completion of Israel’s commission! LeROY & HIS ROCKIN’ FELLERS (1961) – Travel 57 years deep into the past in our ‘Way-Back Machine! MICKIE – The most compelling evidence of the power of God is a transformed life. As we behold Him in His Beloved Son, we become changed into His likeness. Let me tell you about Mickie! NEW! The ULTIMATE IMPLEMENT – The Swiss Army Knife is “a bazillion” tools, all incorporated in one most-valuable implement. However the Holy Scriptures far exceed its value and versatility! ONE FOR YOU, ONE FOR ME – God blesses us, that we may honor Him and bless others with His gifts … I must have slept thru that lesson the first time around. PSALM 23: THE GOOD SHEPHERD – He’s the innocent Lamb, He’s the Good Shepherd! He’s the Sacrifice and He’s the High Priest! He is our Intercessor and He is our Judge! Jesus, our All-in-All, He’s the real deal, the entire package, and this is His resume! ROCKY – This tiny, newborn critter was down, but not out. He was beaten, but not defeated. But could he last another round? The FATAL MISTAKE! Ohhh, we’re so clever, so resourceful by human standards! But are we wise enough to turn to the One Who is the source of ALL wisdom, to seek and to walk in His counsel? The NEW EARTH BAND’s CD’s – Check ‘em out, take a peek, give a listen, buy ‘em! THY WAY, O LORD, IS IN THE SANCTUARY – The Tabernacle is a high-density schematic diagram of God’s entire Plan of Redemption! It’s an ancient prophecy which has nearly reached its fulfillment; yet, it’s so timely, so relevant to this very present moment, because YOU can access its eternal benefits each day, as it is INTERACTIVE! WHAT GOD IS LIKE – All Powerful, All Knowing, Ever Present, The Eternal “I AM”, The Rock of Ages, revealed to all Creation in His Holy Word, by His Son, and through His Spirit! You can know Him! WHAT IF … ? What if, just for this day – the only day we have to work with – what if we let God’s will prevail? What if we pursue His agenda? What if we seek His counsel and direction? Just for today, what if … ? WHO IS THIS JESUS? Son of God or Son of Man? Lamb or Shepherd? The Word-made-flesh? Savior or Redeemer? Advocate or Intercessor? High Priest or Final Judge? How about … ALL OF THE ABOVE! WHY WE NEED A SAVIOR – Kevin’s a really great guy – refreshingly-honest, loyal, courteous and respectful. He’d give you the shirt off his back! He’s a righteous dude! So, where does he fall short? Whaaat? He’s still a sinner? You’re going to have to explain that to me! A TIMELY, MUST-WATCH VIDEO! "Message To the Last Generation" C.D. Brooks delivers a power-filled, undiluted present-day Truth message. Let him who has ears LISTEN! His message is preceded by a Q & A and a musical selection. You may advance directly to 0:28:00 if you choose. AMAZING FACTS – Official Cyber-home of Doug Batchelor’s Global Multi-media Ministry NEED A STIMULUS PACKAGE? World-renowned evangelist Doug Batchelor has something especially for you here! BIBLE EXPLORATIONS – Old-time, throwback, Scripturally-grounded programming 24 / 7, 'round-the-clock, 'round the world! Both commemorative and stunningly prophetic, His Holidays represent the major milestone markers on your journey to The Kingdom! CD BABY – Listen and Buy The New Earth Band's Music At “SEARCH” box, enter: “The New Earth Band” for retail or wholesale purchase, and digital downloads. DAVID R. SMITH – Canadian Hebrew Christian Singer-Songwriter What is Truth? Who is Truth? Wide range of studies, articles, resources. HAS SOMEONE TOLD YOU TO "GO TO HELL"? – Well, check this out, Amigo! The Scriptures contain God's astounding data-bank on this topic, which strikes much fear into the hearts of so many. You can now give them your reply straight from the Source’s Mouth! HEAVEN and THE NEW EARTH – Fact or Fluff? What can we glean from God's Word about His Eternal Kingdom? God’s pre-paid retirement package for you – exceeds by far any earthly 401K! IS THERE AN INVESTIGATIVE JUDGMENT? – "Behold, I come quickly, and MY REWARD IS WITH ME!" Will eternal decisions be rendered prior to His Second Appearing? What do the Scriptures tell us? What does “Behold, I come quickly, and My reward is with me” mean? KNOWING GOD – is the key to life eternal! Knowing The Almighty and His Son, our Redeemer, are to be the very Rock-solid foundation of our faith, on which all else is built! Do you know Him? Video presentation preceded by live music. SABBATH TRUTH – God's Sign of His Lordship and Authority From Creation Right Through Eternity! Scriptural consistency and logic will confound man's wisdom and pursuit of tradition! Discover the significance, the origin, the rationale, and the joy of celebrating God’s Holy Sabbath. TEN COMMANDMENT FACTS – What does the Author Have to Say? God’s immutable, eternal “Law of Liberty” is alive and well! The READ IT LOUD! FOUNDATION WALLY “Famous” AMOS’ excellent early-literacy outreach campaign, raising awareness of the profound impact ot reading aloud to children in their most formative years. TRUTH ABOUT DEATH – So then… just where did Uncle Jake really go? What do the Scriptures teach us? Not the “popular” view, but most definitely the Scripturally-accurate teaching on death. WHAT GOD IS LIKE - All Powerful, All Knowing, Ever Present, The Eternal "I AM", The Rock of Ages, revealed to all Creation in His Holy Word, by His Son, and through His Spirit! You can know Him! HE DIED FOR ME - That's what I've been told. But I'm still going to die. He died for ALL, yet everyone dies. How can this possibly qualify as Good News? I'm confused! Seek & Ye Shall Find!